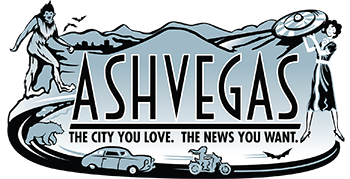 -A “critical mass” ride is planned for downtown Asheville on July Fourth, according to a press release. The plan is to encourage bicyclists to get together for a ride to focus on the rights of bicyclists and pedestrians on city streets. The event, organized by the Asheville Anarchist Assembly, will begin and end in Montford Park. Anyone who needs a bike is encouraged to visit the Recyclery (below the French Broad Food Co-op on Biltmore Avenue downtown) or the Bicycle Thrift Shop (89 Thompson St, Unit F), according to the press release. -White Labs in Asheville is hiring a sous chef for its new restaurant/taproom with a pizza emphasis on Charlotte Street in downtown. -Asheville police have charged a man with first degree murder in the death of a homeless man found last week behind a gas station on Patton Avenue, according to the Asheville Citizen-Times. -North Carolina elections officials plan to turn over state voter records to President Donald Trump’s voter fraud commission, despite critics who fear it could be used to suppress voting, the Charlotte Observer reports. -Join Studio Zahiya fitness instructors Lisa Zahiya & Illysa Hamlin for a lead and follow, shake your booty dance class at the Orange Peel on on July 8. The cost is $10 and the dancing starts at 7:30 p.m.. Have a drink and get fit. Stay for a dance party with DJ MP Pride. -The town of Woodfin was named 18th on Zippia’s ranking of “20 places in North Carolina with the fastest wage growth,” the Mountain Xpress reports. -The Asheville Bed & Breakfast Association is launching a campaign to broadcast the full breakfast course that their members offer by releasing a cookbook this fall, the Charlotte Observer reports. The 15-member organization is making the move to combat the popularity of AirBnb.